One of Canada’s biggest festivals gets ready to rock Montreal. Seriously. The Osheaga Music & Arts Festival this year is in a way, visually enthralling with a chart full of artists spread across five stages and three days in the heart of Montreal. If you haven’t already tried to sell your vinyl collection or your spouse to see the likes of The Black Keys, Bloc Party, Brand New, Feist, The Weeknd and MGMT, then we have your back… sort of. With the festival being one week away we have one pair of weekend passes to give away plus a bunch of music from this year’s lineup including the latest from Passion Pit, The Shins, Tame Impala and more. and let us know which artist you’re most excited to see perform at Osheaga 2012. Florence and the Machine!!! That’s gonna be epic!! My name is Joey Porpiglia and my email is joey@livemusicto.com and I’m most excited to see BRAND NEW!!!!! I went to Osheaga last year and it was amazing! I would LOVE to go again. Wouldn’t want to miss Of Monsters and Men, Florence and the Machine, The Black Keys, etc. So many good bands! The Black Keys, City and Colour, M83 and Brand New are the top four I’d most like to see that day! Wow it’s hard to choose just one artist I’m excited to see, but definitely Bombay Bicycle Club, MGMT, M83, and Passion Pit! I’m very excited to see Metric! Most excited to see The Black Keys. Brand New and Killer Mike. most excited for florence and the machine! Justice, Santigold, Bloc Party..so much good bands to see! M83. I just bought thier record and I can’t stop spinning it! The Black Keys. Last time I caught them thier set was cut short due to a thunderstorm. Would love to rock out to them again! I would walk from Toronto to Montreal to see Of Monsters and Men!! I want to see Sigur Ros! Sigur Ros to hear Valtari and other classics played under the moonshine. Oh man, AND to get to Canada for the first time I would document my trip with film and digital photos, and lots and lots of writing. Oh, and obviously it would just a plus to be in the same regional area as The Shins, Brand New, and Emerson College’s Passion Pit, but to hear them play — SPEECHLESS! Lifetime opportunity right here! The Sheepdogs are gonna rock, and the Black Keys are gonna close it out in style!! City and Colour, The Weekend, Brand New, Passion Pit and Young The Giant. The line up this year is unreal! I am dying to see freelance whales! I am pumped to see Franz Ferdinand! Im most excited to see Bloc Party! They are an amazing band that I’ve never been able to see live. So pumped if I get this opportunity! Hoping to finally make it to Osheaga for the first time since I moved to Toronto from Montreal four years ago! So many great artists, a lot of my faves like The Black Keys, Franz Ferdinand, Bloc Party and The Weeknd! So pumped for the Shins!! I’m most excited for Florence! Those pipes are amazing. To experience them live would be pure bliss! Dan Mangan! I discover his music some months ago and I don’t wanto leave Canada without seeing him in concert! The fantastic Of Monsters and Men! City and Colour, Of Monster and Men and Dan Mangan for sure! Black Keys and Sigur Ros! snoop dogg. what a legend. So excited to see the Shins! I’m absolutely dyinggg to see Little Dragon perform, especially on the same day as Memoryhouse! I also can’t wait to jam hard to Amadou&Mariam! So excited to see Florence + the machine! Florence and The Machine!! Or The Shins! I can’t wait to see Down With Webster and City & Colour! This is the first year I can’t afford to go and I would do just about anything to see sigur ros and little dragon. Pleeeaase help a brother out!! Either the Black Keys or City and Colour!!!!!! Or Little Dragon. Or Bloc Party. I want to see them ALLLL!! And The Shins as well! Freelance Whales, Jesus and Mary Chain, and the BLACK KEYS!!! FLORENCE AND THE MACHINE, in a festival setting! (How she started out) Seriously! PLEASE! I would absolutely love to see the Weeknd on friday!! Would love to see the Black Keys! 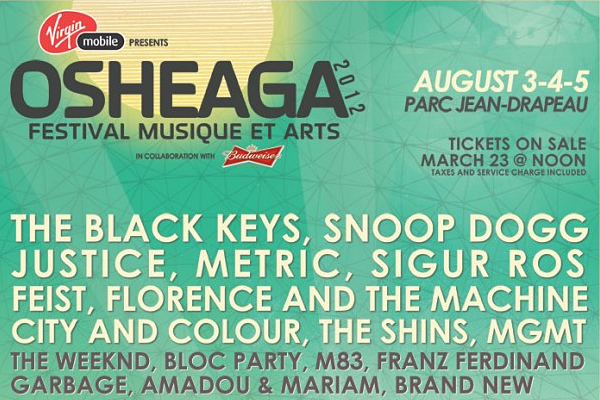 I can’t wait to see The Shins and The Black Keys, and enjoy the amazing atmosphere of Osheaga!! See you there! Passion Pit, Feist et Snoop! 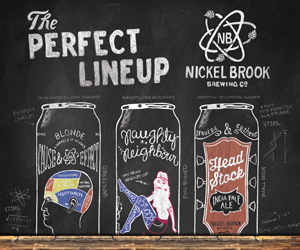 Would love nothing more than tickets to Montreal’s best fest!